CITY OF MALOLOS, Bulacan — Through the initiative of the National Council on Disability Affairs (NCDA), the Provincial Government of Bulacan, Philippine Sports Association for Differently-Abled (Philspada), Philippine Association for Citizens with Developmental and Learning Disabilities, Inc. (PACDLD) and Badminton World Federation-Shuttle Time conducted the 2-day activity dubbed as “Sports and Physical Activities for Persons with Disabilities” held at the Bulacan Sports Complex last November 5-6, 2018. 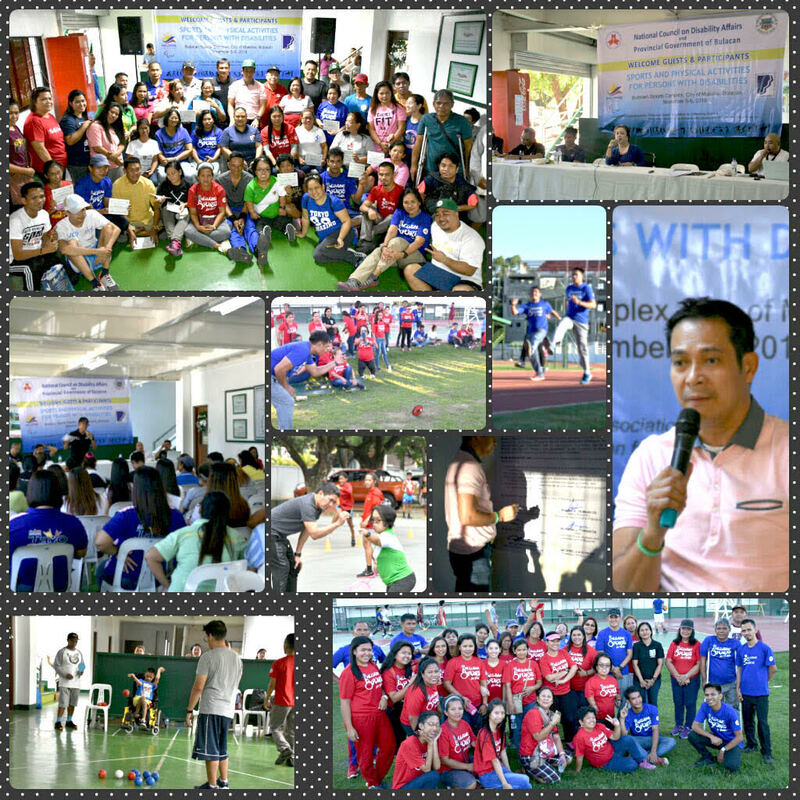 Around 70 persons with disabilities and focal persons of persons with disabilities in the different cities and municipalities of Bulacan were given seminar-lectures on how to play athletics, badminton, boccia and bocce sports. They also are given hands-on training on these sporting events. For athletic sports, the training was facilitated in by Mr. Joel Deriada, Mr. Ernie Candelario, Mr. Bernard Buen from Philspada. On the other, the Boccia and Bocce sports was handled by Mr. Marangal Gonzales, also from Philspada. The badminton sport was handled by Mr. Ian Gil Piencenaves and Mr. Glenn Sabio of BWF.